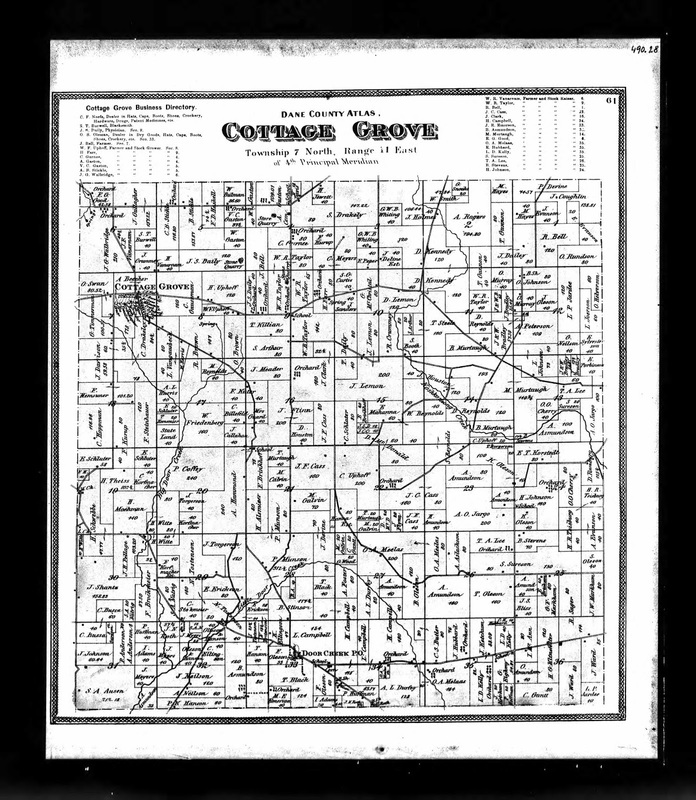 After I wrote Amanuensis Monday - 1895 Will of Elling Erickson Natvig (1820-1896) of Cottage Grove, Wisconsin today, I wondered if Elling Eriksen Natvig had land in Cottage Grove, Dane County, Wisconsin. 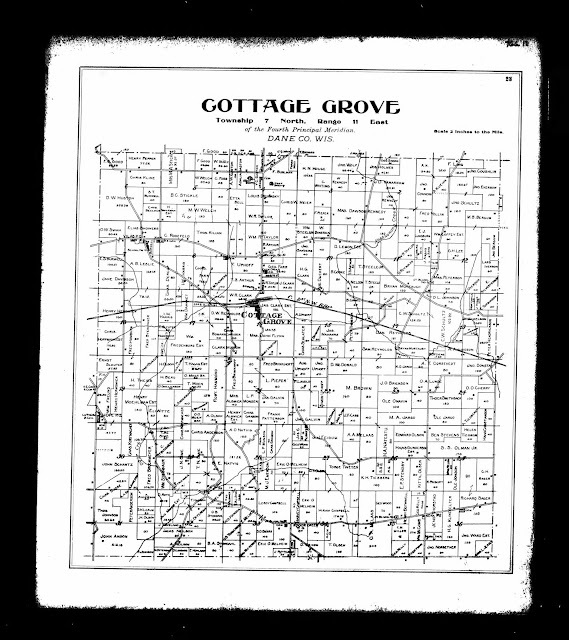 I recalled that we had found Natvig Road in Cottage Grove in 2011 when we visited Dane County. I wrote about that in (Not So) Wordless Wednesday - Post 173: Hunting for Natvig Land in Cottage Grove WI (posted 5 October 2011). However, we did not try to contact anyone at the time. I searched for Elling Eriksen, E. Eriksen, Elling Natvig, E. Natvig, Elling N*t*g and Elling N*t*k on Ancestry.com limiting the search to Wisconsin. There were very few matches for these searches. Tow of them were for the U.S. Indexed County Land Ownership Maps, 1860-1918 for the years 1873, 1890 and 1899. * 80 acres in the northern half of the southeast quarter of Section 29. 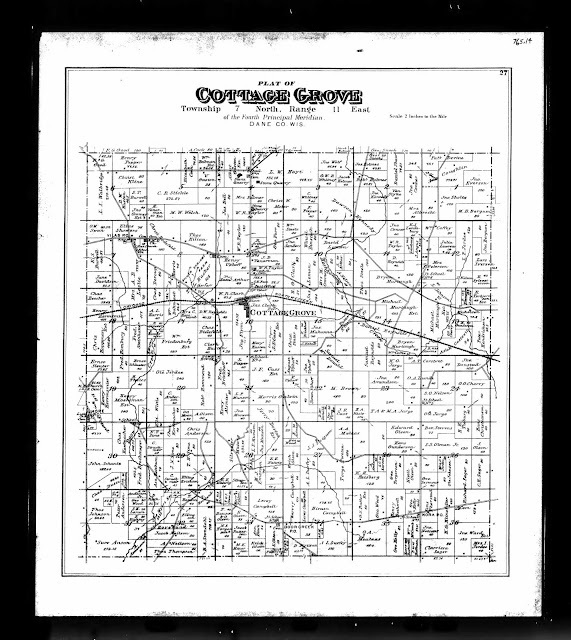 * 26 acres in the southwest quarter of the southwest quarter of Section 28. * Elling Erickson has 40 acres in the southwest quarter of the southeast quarter of Section 29. * Elling Erickson has 40 acres in the northeast quarter of the southeast quarter of Section 29. * E.E. Natwig has 26 acres in the southwest quarter of the southwest quarter of Section 28. * E.E. 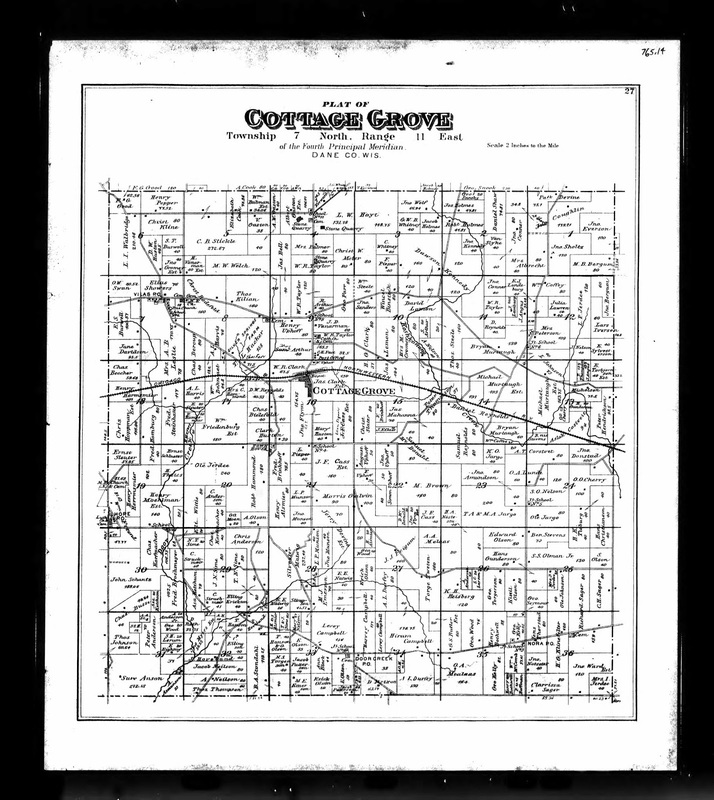 Natwig has 40 acres in the northeast quarter of the southeast quarter of Section 28. * Silvester Matwig has 232.49 acres in the west half of Section 28, including all of the northwest quarter. quarter of Section 28. Silvester Natvig also obtained the land in Section 28 from P. Munsen. * S.E. Natvig 40 acres in the southwest quarter of the southeast quarter of Section 29. * S.E. Natvig has 40 acres in the northeast quarter of the southeast quarter of Section 29. * S.E. Natvig has 121.52 acres in the west half of Section 28. * A,O, Natvig has 155 acres in the west half of Section 28, to the north and east of S.E. Natvig. So it appears that between 1890 and 1899, the Elling Erickson land in Section 29 was obtained by S.E. of the land owned by S.E. Natvig between 1890 and 1899. A.O. Natvig is - perhaps a relative of Elling and Solfest Natvig that I don't know about. Solfest Natvig was not named as an heir in Elling Eriksen Natvig's 1895 will which was proved in 1897.
sister Christina in the household. Library in Salt Lake City in hopes of sorting this out. I have a few friends who live in Cottage Grove and would be happy to have one of them do a drive by and take a few pictures.